Pam Richart, of Champaign-based Eco-Justice Collaborative, took this picture of bank erosion along the Middle Fork River. Up and over the eroding bank are ash ponds on Dynegy’s former power plant site, which is upstream from Kickapoo State Park. The Richarts and other concerned citizens believe the coal ash in the ponds is contaminating the river, but Dynegy officials argue that the ash ponds are structurally stable. NEWTOWN — Dynegy Inc. officials are awaiting governmental permission to stabilize an eroding bank where the Middle Fork River is carving away at the earth that holds back ponds full of coal ash left over from the company’s now-shuttered Vermilion Power Station. According to Micah Hirschfield with Dynegy, the Houston-based energy company has received the go-ahead from other government agencies, like the U.S. Army Corps of Engineers, that have recently been on site inspecting the ash ponds. But Dynegy is still awaiting approval from one last agency — the National Park Service — to do the stablization work. The park service has jurisdiction, because the Middle Fork River was designated a national scenic waterway in 1989. Hirschfield said Monday that the company hopes to get the permission soon, and the goal is to finish the work by the end of the year. 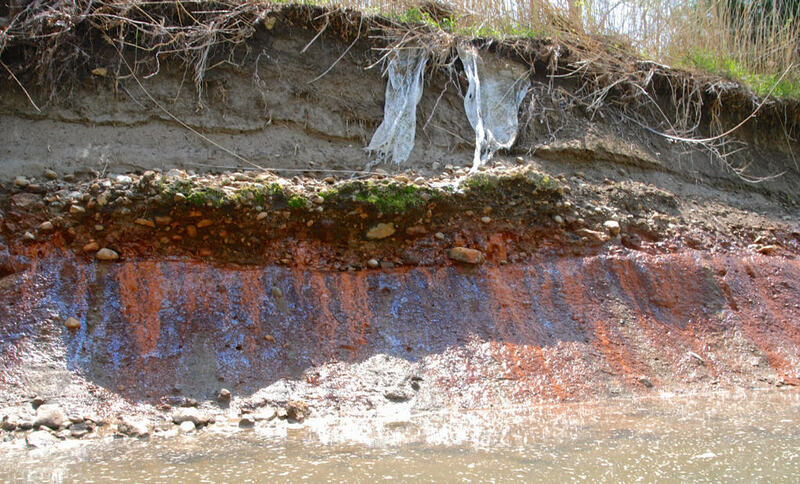 For years, river bank erosion in that area has been a concern of local citizens, the Prairie Rivers Network and others who fear possible failure of three man-made containment ponds adjacent to the river that hold ash from decades of burning coal at the former power plant. The site is immediately upstream from Kickapoo State Park. Coal ash can be harmful, because it contains a variety of heavy metals and minerals, including mercury, arsenic, selenium, chromium and cadmium. Last year, Duke Energy was fined more than $100 million for a 2014 coal ash spill into North Carolina’s Dan River when a pipe collapsed under a coal ash dump, covering 70 miles of the river in gray sludge.